Find peace and love this Halloween as a hippie! 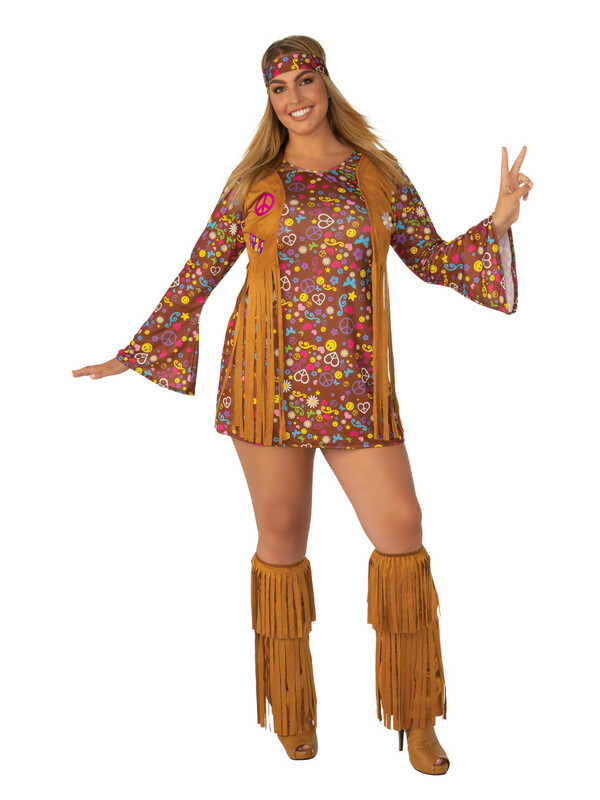 Purchase the Peace and Love Hippie Plus costume today for a groovy holiday. The colorful three-part costume includes fringe boot covers, matching headband, and a hippie dress with a fringe vest. Finish this look with brown boots.